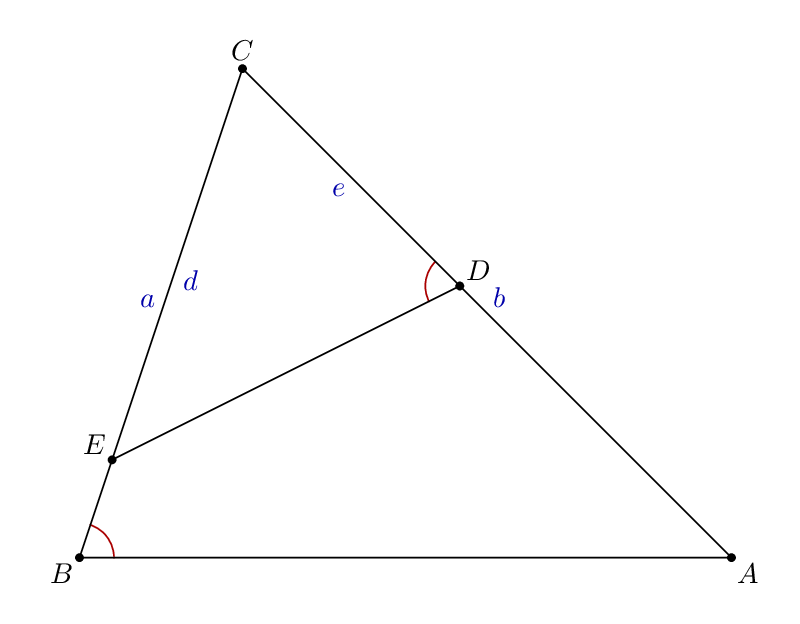 How to create a point on a line with an angle constraint? 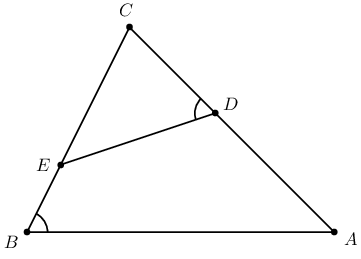 I want to define a point (node) D on line AC such that angle ABC equals to angle CDE. How to do this by using the easiest trick of PSTricks? The angle between the line ED and the horizontal line is beta-alpha, the reason why we know the slope of the line. Not sure if this is the easiest. But it works. 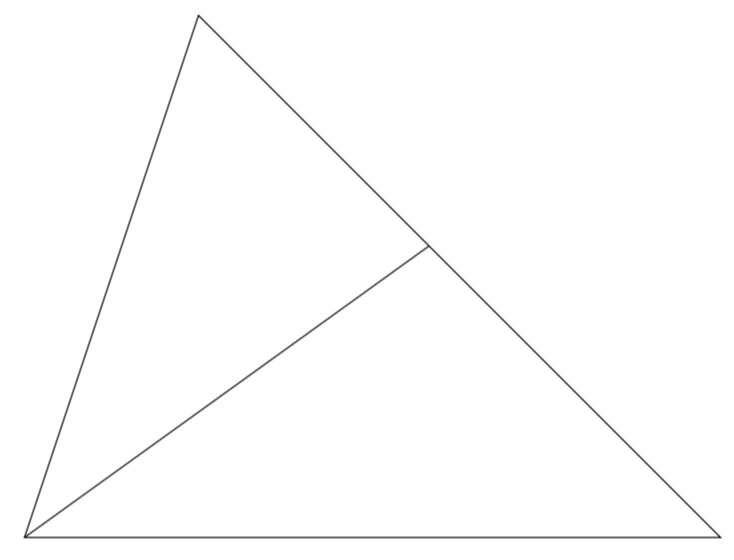 To see the construction, simply remove the three [PointSymbol=none,PointName=none]’s and uncomment the last three lines within the pspicture. Just for comparison, anyone wrestling with the pst-eucl syntax and documentation, might like to try this type of thing in Metapost, using the elegant implicit definition of linear variables. a/b = e/d;  % implicitly define "e"
Just for fun: a TikZ solution. Notice that there is the tkz-euclide package which offers a very similar syntax as in these pstricks codes. The point of this answer, however, is just to say that in TikZ there is the calc syntax, which is, admittedly, a bit strange when one sees it for the first time. However, I would like to argue that, once one gets a bit familiar with it, it is much more powerful and universal than the other helpers that are on the market. There is no need to define a new complicated macro for every purpose, calc allows one to deal with all these things in a universal way. Not the answer you're looking for? Browse other questions tagged pstricks pst-node pst-eucl or ask your own question. How to put an angle on a specific point? How to show a point name? 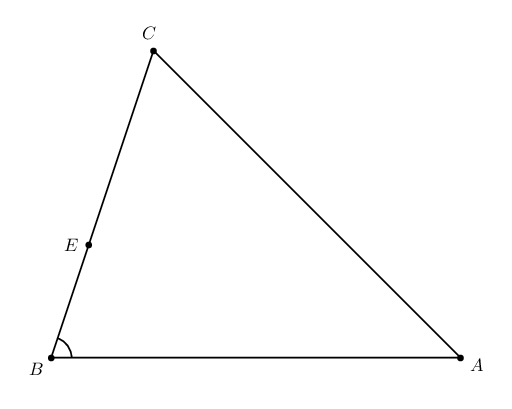 How to divide arc, line, and angle with a certain ratio? How to make a hollow node with PointSymbol=o? How to create right angle marks for 3D objects? 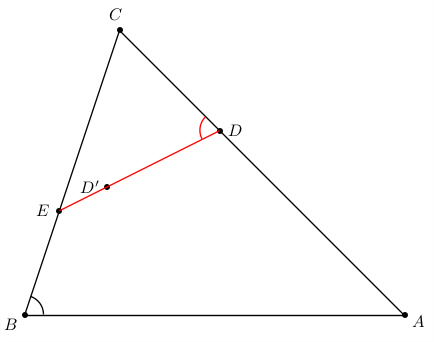 How to fill a right-angle mark with a color?